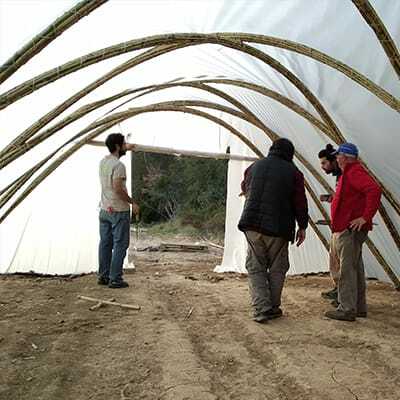 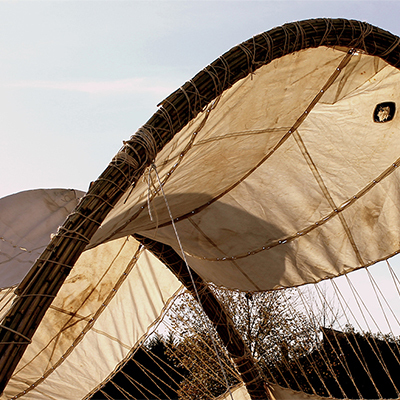 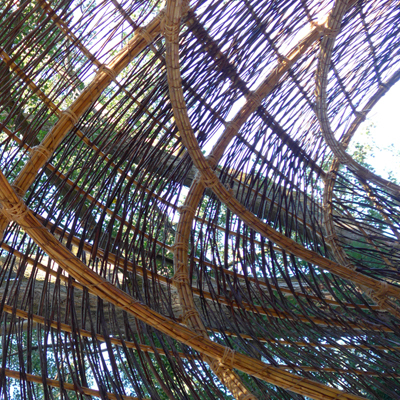 It is a 7.5m diameter geodesic dome (about 30m2 approximately) of bamboo bars (guava angustifolia) of 750 to 900mm in diameter, of Colombian origin imported by dbambu and treated in origin. 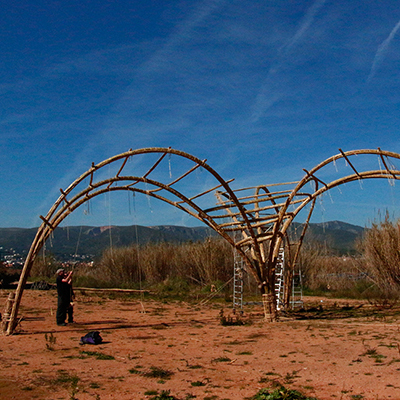 The articulated metal knots made by Ferran Noguera. 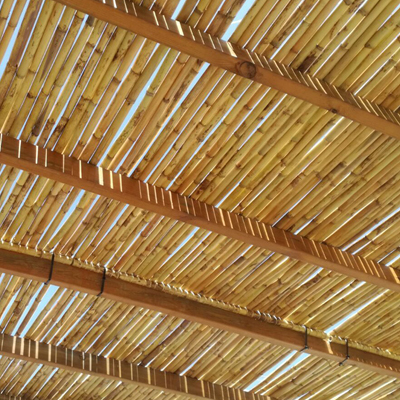 It is covered by a waterproof and fireproof PVC cloth woven by TechnoDimension. 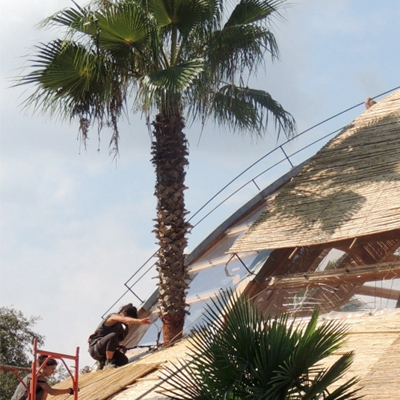 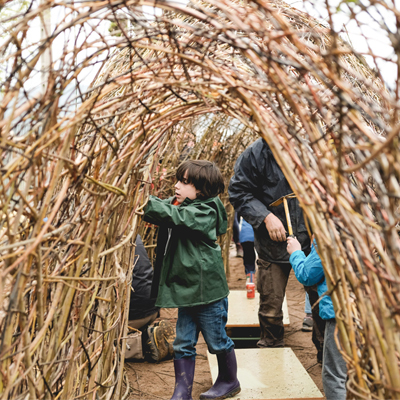 Taking advantage of the rigidity of guiding and geodesic design, we can cover large areas with a renewable resource and with high CO2 retention. 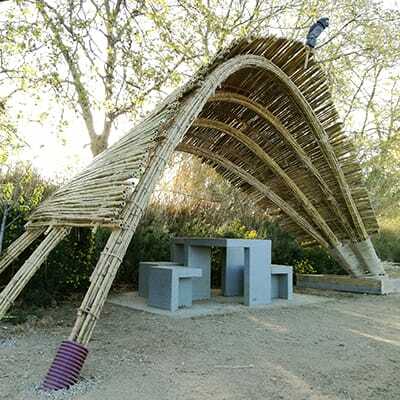 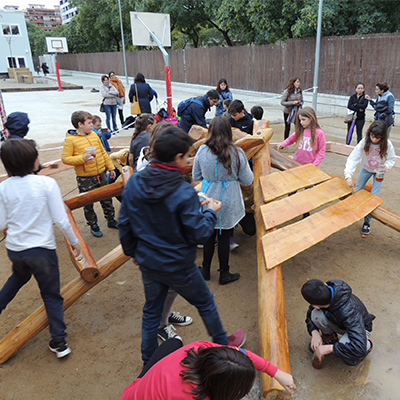 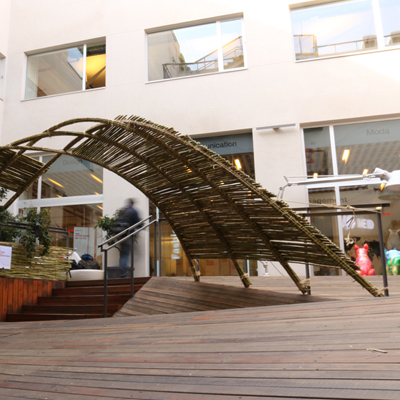 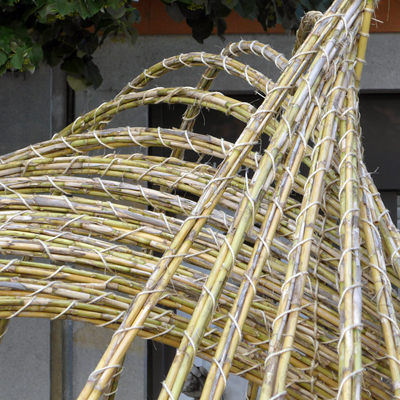 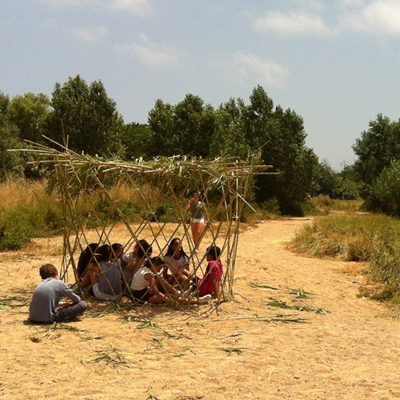 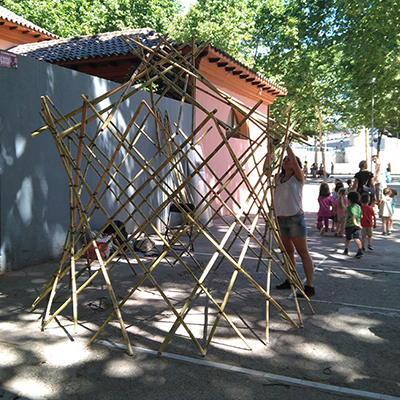 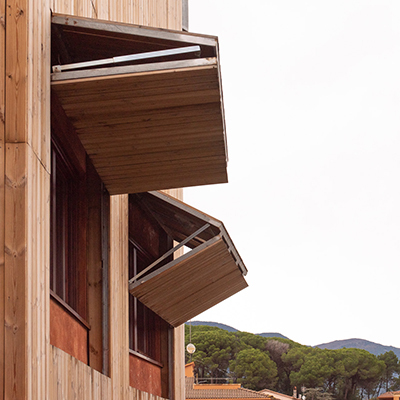 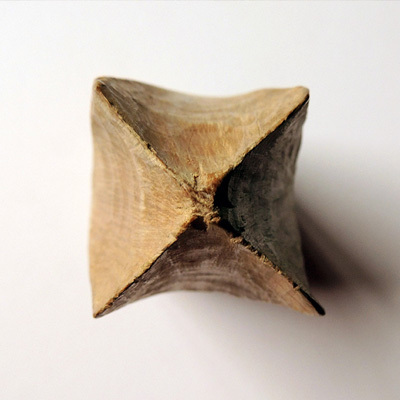 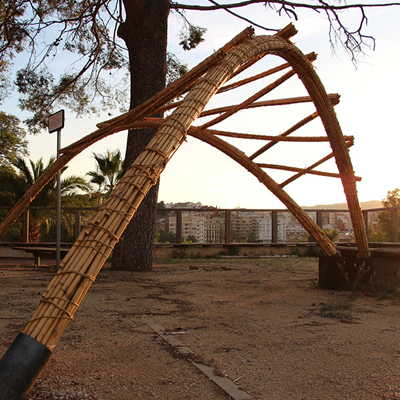 The challenge now is to find sufficiently resistant bamboo in Catalonia to be able to develop similar structures without having to transport the material from so far, experiences close to Italy and France encourage us to take this path. 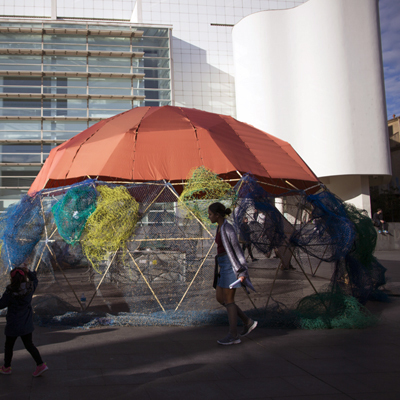 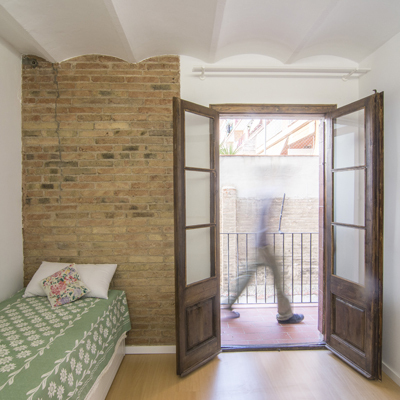 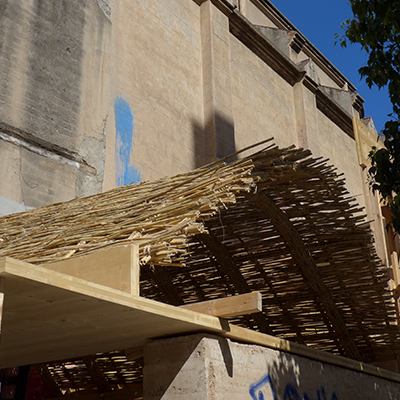 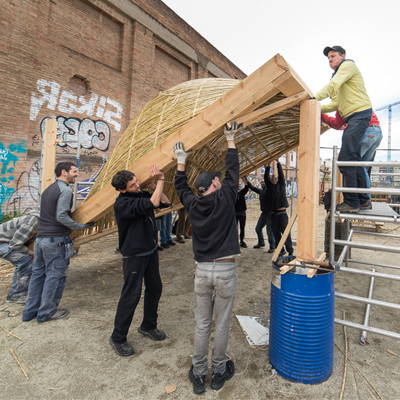 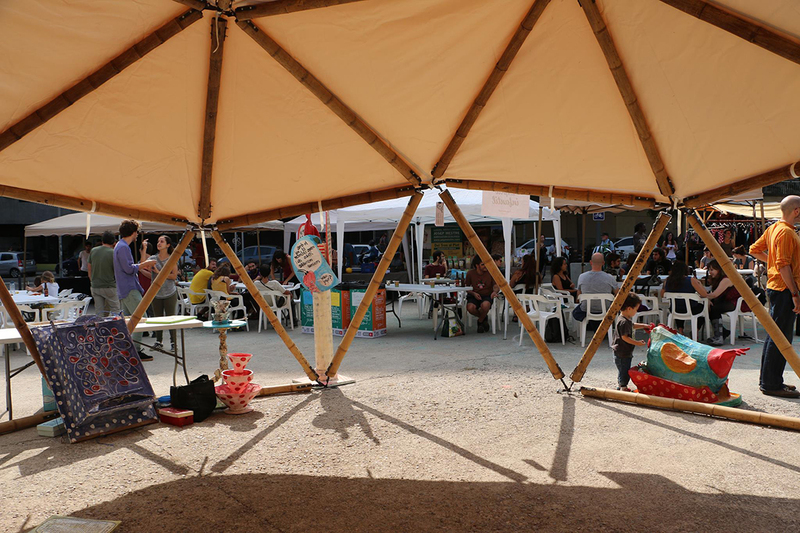 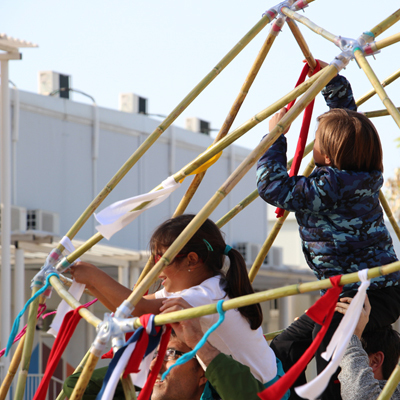 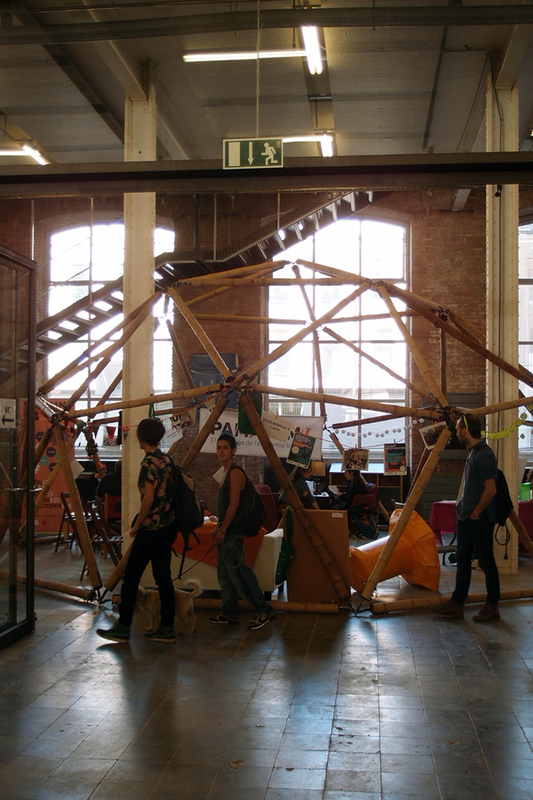 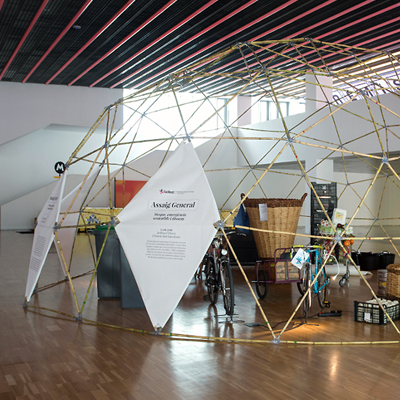 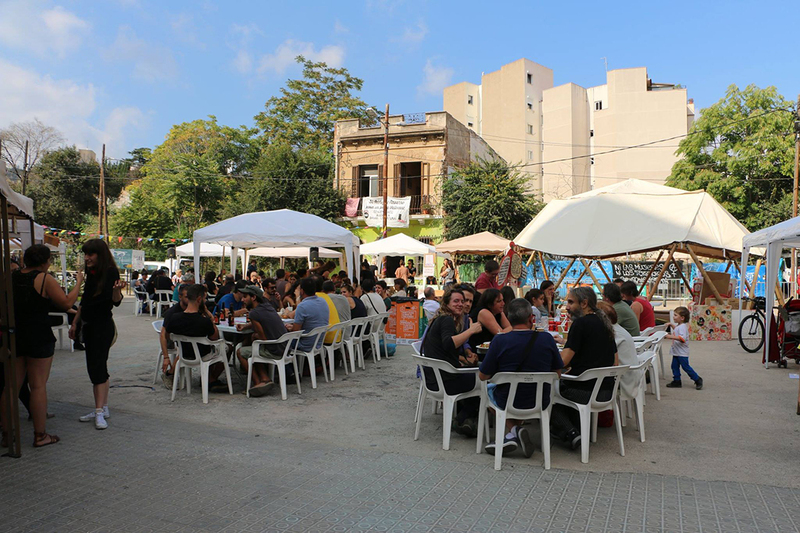 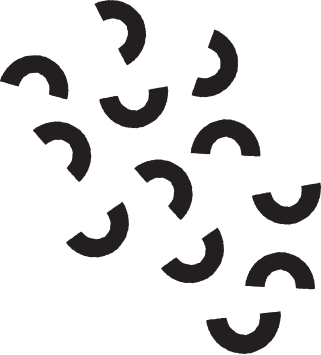 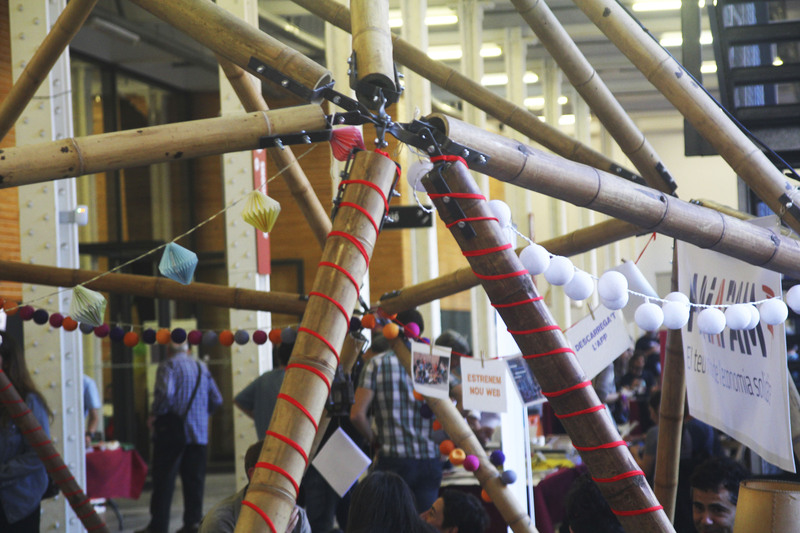 The dome has been mounted in various events, including a stand for Pam at Pam at the Social Economy and Solidarity Fair of Catalonia (FESC) at the Factory of Creation Fabra i Coats of Barcelona and at the Fem Mercat de Vallcarca fair. 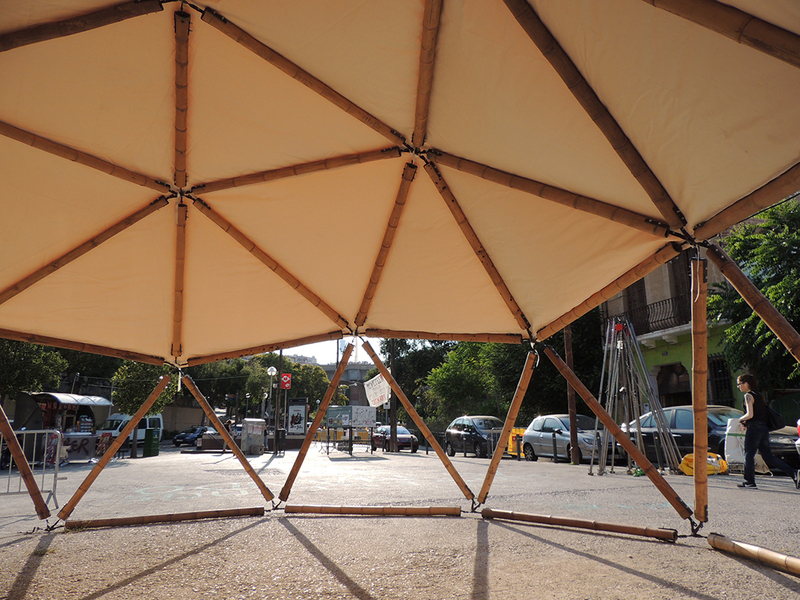 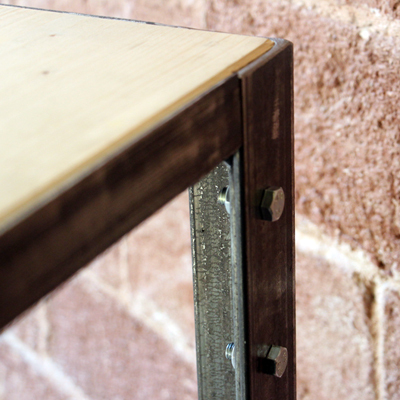 It is a detachable structure, with possibility of total or partial coating. 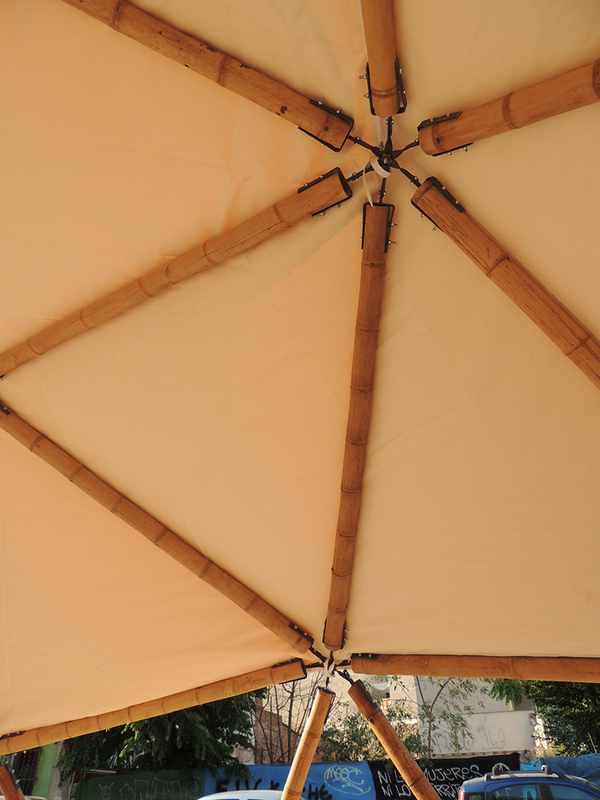 Waterproof canvas cover is white cream. 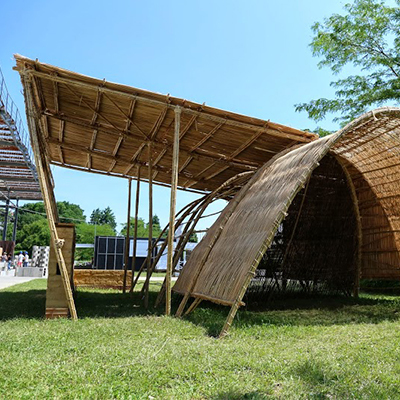 It is available both for rent and for sale, installation both indoors and outdoors.